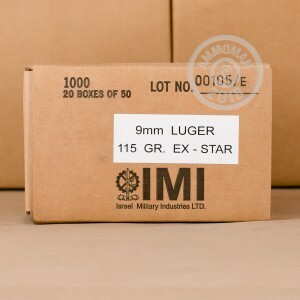 If you want some affordable yet effective 9mm self-defense ammunition, then IMI's 115 grain JHP ammo is for you! 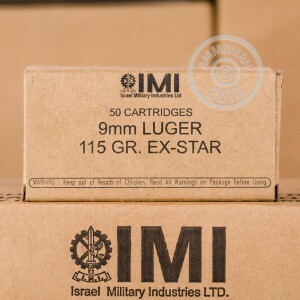 IMI is an Israeli company that produces common, military grade ammunition, like this 9mm ammo. 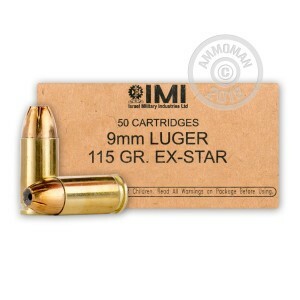 This ammo is perfect for any size 9mm Luger handgun. Each round has a jacketed hollow point projectile, which is ideal for self-defense. JHP ammo expands after it hits soft tissue, causing more damage than FMJ ammunition and penetrating less at the same time. 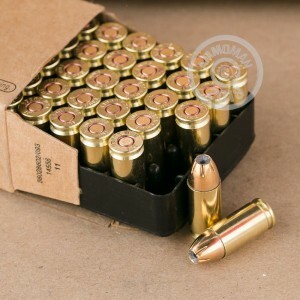 You should buy enough of this ammo so that you can practice firing a few rounds before carrying this ammunition, so that you will know how it fires with your gun. Each round has a reloadable brass case, is Boxer-primed, and non-corrosive. It went everywhere the laser went accurately and the penetration was sound. Israeli standards are top notch, these hollow points are great, I will be buying more when the time comes, they are definitely worth keeping in bulk.